As Executive Director, Kyle Sewer, BS, MA, manages all aspects of operations and clinical services at Rosewood Centers for Eating Disorders in Arizona. His responsibilities include oversight of admissions, business development, recovery programs, staff­, case management, utilization review and compliance with state and federal regulations. 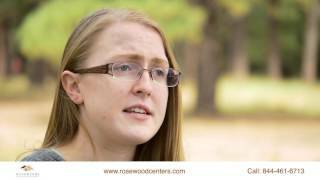 Rosewood’s Arizona treatment centers for anorexia, bulimia, binge eating and co-occurring disorders include: Rosewood Ranch, Rosewood Capri and Rosewood Tempe, which provide a continuum of care from inpatient/residential to partial hospitalization to intensive outpatient programs. Kyle has over 20 years experience helping children, adolescents, adults and families with developmental, psychiatric and behavioral health disorders. Kyle received a bachelor’s degree in communications from St. Joseph’s College of Maine and a master’s degree in community counseling from Argosy University in Atlanta. His previous positions include serving as a residential counselor in Los Angeles for the Help Group, which provides education, therapy and residential living for adolescent males with special needs. He has also worked as a lead therapeutic behavioral specialist for Hollygrove Children and Family Services, which off­ers outpatient and in-home mental health and case management services for abused, neglected, and at-risk youths in Los Angeles. Other previous positions include working as placement manager, director of utilization and director of placement for Youth Villages, a residential treatment center in Georgia for children and families with emotional and behavioral health problems. Before joining Rosewood, Kyle was associate director of residential services at Great Circle, a St. Louis-based agency that provides crisis intervention, counseling, education, in-home support and transitional living for children, teens and families with severe emotional and behavioral challenges, including self-injury. A focus of Kyle’s career has been assisting individuals with reintegration into home life and the community, and providing counseling and support to family members to repair relationships and support their loved one’s recovery. He enjoys seeing the changes that occur in patients as they progress through treatment, and the ways in which small steps can add up to major improvements over time.